SHAH ALAM: Yayasan Tan Sri Muhyiddin (TSM) Charity Golf received sponsorship pledges amounting to RM4.38 million from various corporate bodies and government agencies. TSM chairman Tan Sri Muhyiddin Yassin, who is also the deputy prime minister, received the sponsorship pledges after presenting prizes to winners of the Founder’s Cup 2014 at the Glenmarie Golf & Country Club, here today. During the prize presentation, an additional RM22,000 was collected through an auction of three motorcycles and the proceeds handed to the TSM Charity Golf. Earlier, Prime Minister Datuk Seri Najib Abdul Razak, who is also the TSM patron for TSM Charity Golf took part in a charity golf event. The Founder’s Cup 2014 was held in conjunction with Muhyiddin’s birthday on May 15. 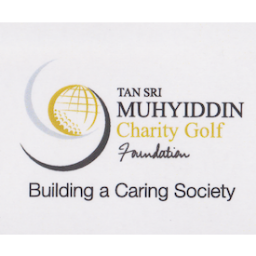 Muhyiddin is the founder of the TSM Charity Golf.